It has been confirmed that the series 10 opener “The Pilot” will be getting a cinema release. 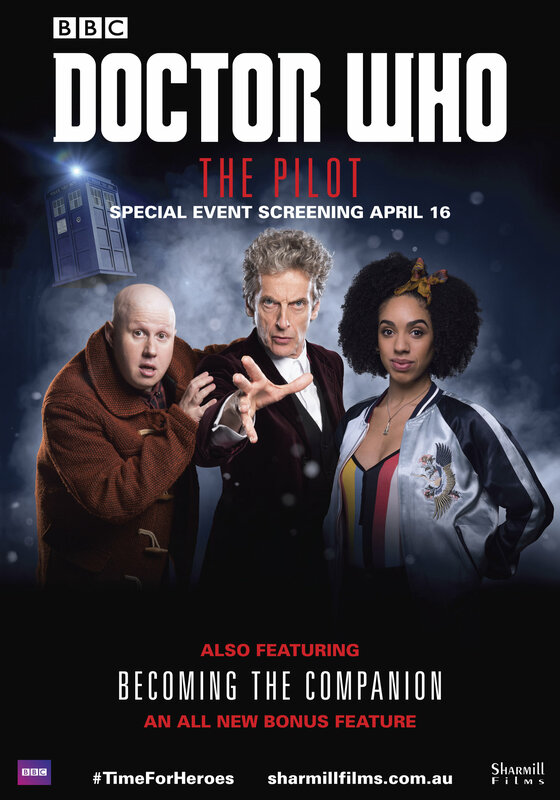 Sharmill Films who has previously brought The Power of the Daleks and Deep Breath to the cinema, is releasing the episode at select cinemas on the 16th of April for two days. The special release will also have the bonus feature “Becoming the companion”. Cinema-goers will also get an exclusive chance to travel with Pearl from the London stage through the doors of the TARDIS to a once-in-a-lifetime role, or as Pearl says “the most insane thing that’s ever happened to me.” Featuring exclusive interviews with Peter Capaldi and Steven Moffat and narrated by Ingrid Oliver.